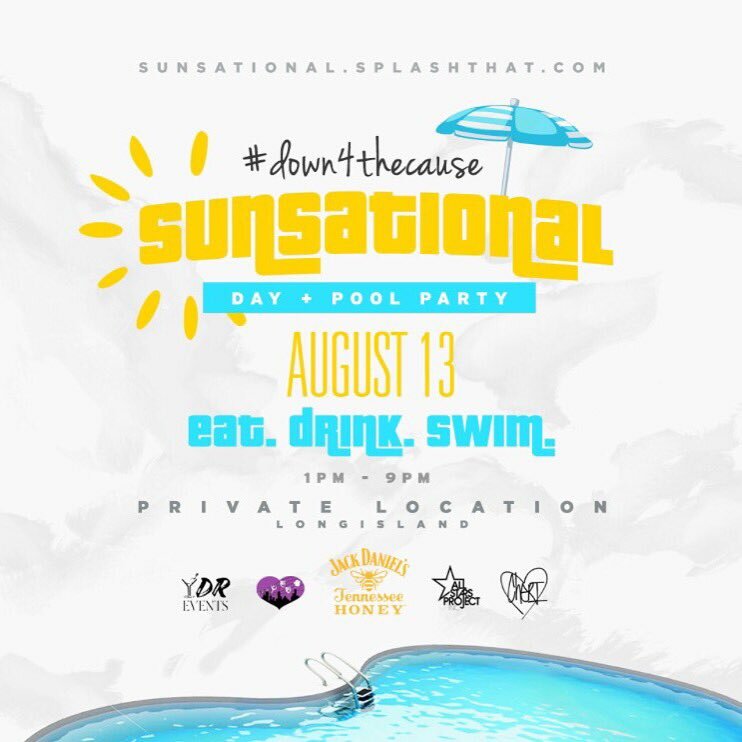 YDR events is throwing a #SUNSATIONAL Pool Party on Saturday, August 13! They have teamed up with Jack Daniels as part of their Summer Flavor Series, so tickets will get you entry to the party, unlimited food and drinks! The proceeds go to the All Star Project NYC. Purchase tickets and find out more HERE.